DC Design is a name that needs no introduction among car guys in India. When a topic on modification comes up, DC is a name that automatically crops up. The company has been building styling kits, luxury lounges and also came up with India’s first indigenous sports car, the Avanti. 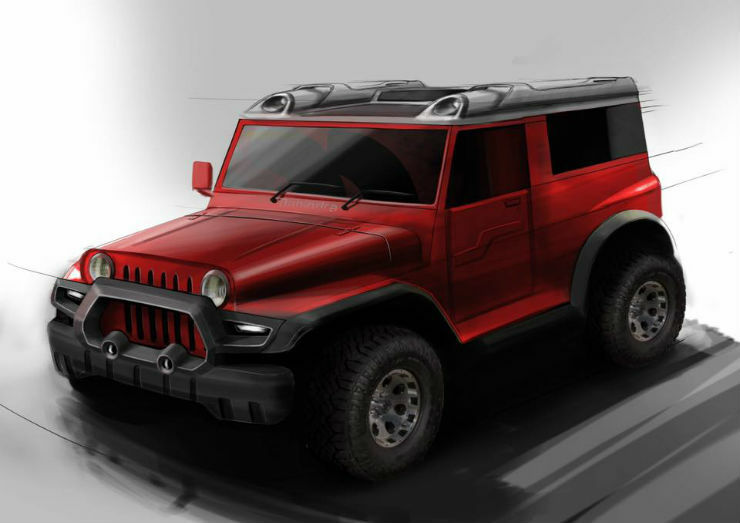 Soon, DC will also be coming up with their avatar of a Thar, and it is WILD. The Thar has always been Mahindra’s rugged and no-nonsense SUV that could tackle all off-road duties. The design of the Thar has been carried forward from the older Jeeps, all inspired by the original Willy’s. While the Thar is intimidating to look at courtesy its rectangular proportions and straight lines. DC has decided to add a bit more ‘oomph’ to the design to make it look premium as well as rugged. Up front, the changes include a new rough and tough looking bumper, which has an inbuilt bull bar with two auxiliary lights. The front fenders have also been given a make over with the turn indicators now mounted at the front edge of the fenders. The plastic cladding has been added to the fenders to give it a wider stance. The Thar is only offered with a soft top in the Indian market, which can get a little irritating when travelling on highways due to added wind noise. 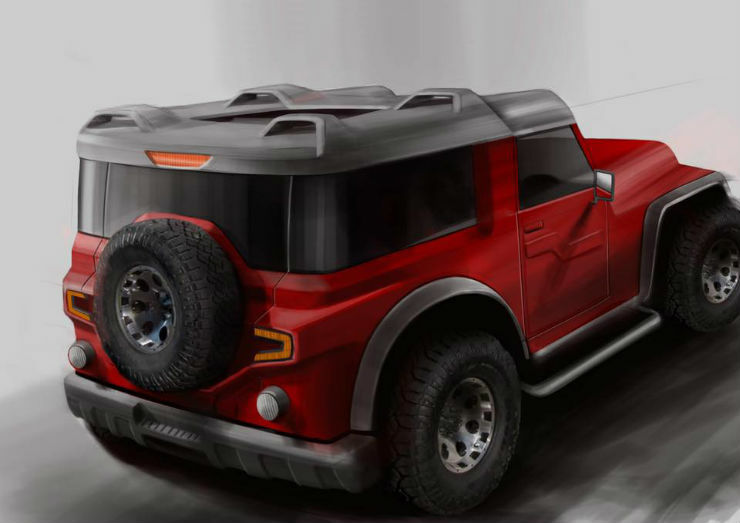 DC has come up with a hard top conversion, which will help make the Thar more usable. The roof has been given two auxiliary lights too and there are grooves that have been built-in to accommodate luggage racks. Towards the rear, there is a new stop lamp which has been mounted on the roof, and this looks cool. The company has added glass windows at the back as opposed to the current one having a plastic see-through sheet. At the rear is where most of the changes are. The rear looks very stylish and futuristic. You now have new LED tail lamp cluster which has been designed in such a way that the the design looks like an extension of the spare tyre housing. There are new reverse lights that have been added separately. The Thar also gets a new rear bumper. What will be interesting to see is the changes on the inside. Currently, the Thar is very utilitarian on the inside and there are no creature comforts on offer. Also, there are two side ways facing bench at the back, unlike the front way facing seats. The transformation is under way and we shall bring you pictures of the car once it has been completely done up. « Bajaj Pulsar RS200 fire burns it to the ground but owner still happy: Here’s why!